MASK Equalizer is an exclusive Photoshop plugin to create layer masks using multiple luminosity ranges. Choose between our presets, to create a mask with just one click, modify it using sliders or manually create custom ones from scratch. Preview both the mask or the image with the mask applied. Modify the opacity of the mask, feather it or adjust its contrast. 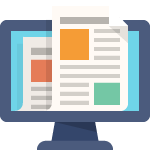 Advanced users will even be able to work on specific channels. Mask Equalizer. Here, There and Everywhere. This unique tool can make the difference in virtually any digital workflow. Whether used alone in your standard Photoshop workflow or paired with our plugins, for example with Wow!, Mask Equalizer shines as simplifies the creation of complex layer masks. It allows you to work perceptively switching back and forth from Mask to Comp preview that instantly shows the result of the mask applied. To understand what we mean, just try to add contrast with an adjustment curve, pushing the parameters without worrying of deep blacks or burnt highlights, then load a shadow-highlights preset. Easy presets section. 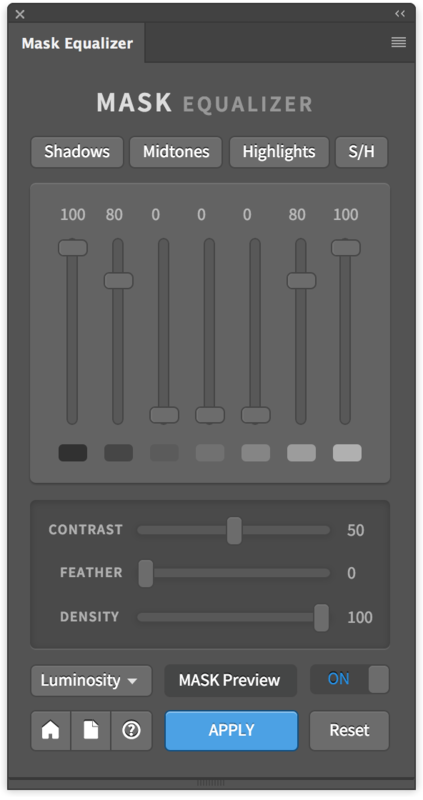 Use one out the four buttons to create the most common masks to protect highlights, shadows, mid tones and (the most frequent) shadows and highlights together. When pressing the buttons, the sliders will set accordingly. Check the preview and proceed or tweak them manually for an easy to apply. Intermediate sections. Tonal range (luminosity) sliders. They refer to blacks, shadows, shadows/mid tones, mid tones, mid tones/highlights, highlights, and whites. Starting from the presets, or from scratch, you will able to easily and quickly create even the most elaborate mask. The sliders in this third section allow to change the opacity of the mask, feather it or tweak its contrast while keeping the mid tones unchanged. The use of these options, usually complicated, is made easy by the live preview which will allow you to work perceptively. Fourth section. It contains the priceless wonder-option of the double live preview. You can opt to preview the black & white mask or just the image with the mask already applied. This section also contains the advanced user’s menu to use specific channels as for instance l, a, b, hue, saturation, etc. instead of the default luminosity channel. Is MASK Equalizer a duplicate of Channels Power Tool? No. They are entirely different. Channels Power Tools creates masks from channels and is designed specifically for post-producers to speed up the professional post-production workflow. 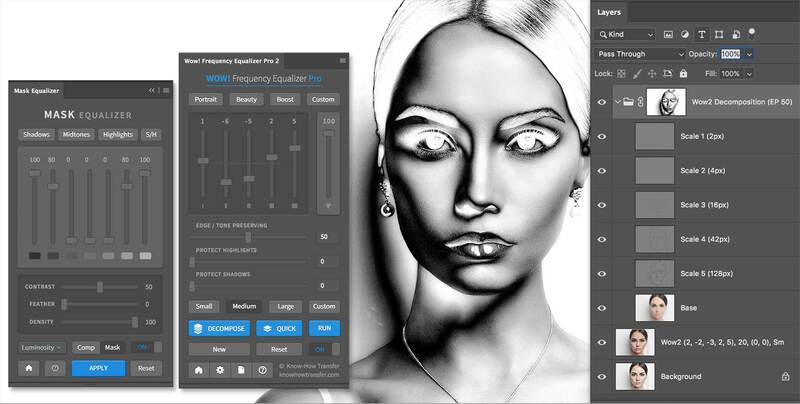 MASK Equalizer creates masks using multiple tonal ranges which are the different luminosity areas of an image. It’s designed for photographers to quickly improve the files and fix the most common issues in a standard photographic workflow. “I played with Mask Equalizer and it’s an absolutely great plugin and integrates well into my workflow. I bought the new – amazing and indispensable – Mask Equalizer! We warmly suggest considering to buy our convenient bundle of Mask Equalizer and Wow! Frequency Equalizer Po 2. Wow! Pro 2 is an exclusive Photoshop plugin to boost or smooth each frequency range. Wow! adds style, image sharpness, and three-dimensionality together with incredibly smooth transitions.